Ginger is a herb that is used as a spice and also for its therapeutic qualities. 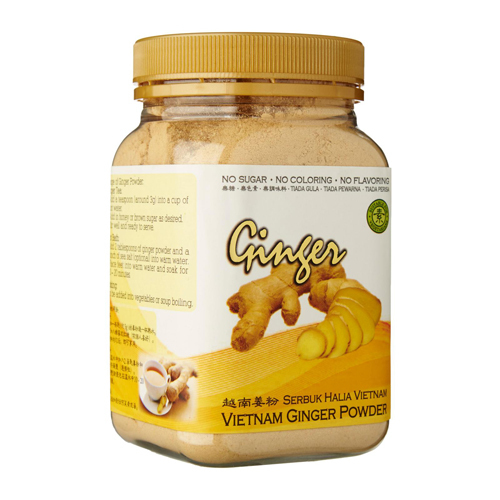 Ginger is part of the Zingiberaceae family, as are cardamom, turmeric and galangal. With fine texture, Love Earth Premium Pure Ginger Powder delivers a unique flavor combination of citrus, earthy, and spicy-sweet notes that is refreshing and sharp. Ginger has numerous applications in sweet and savory cooking. It is an essential ingredient of curry powder and other spice blends, and is found in gingerbread, cookies, cakes, puddings, pickles, and many Asian vegetable dishes. Contains chromium, magnesium and zinc which help to improve blood flow. A known effective remedy for the nausea associated with motion sickness. As a natural treatment for colds and flu. Contains anti-inflammatory fighting substances and is a natural painkiller. Can reduce symptoms of menstrual pain.